Your gift makes the dream of education possible for thousands of Karen people! Project KARE will deliver essential school supplies to thousands of Karen students in Karen State in Burma (Myanmar) and at Mae Ra Moe Refugee Camp on the Thai/Burma border. In 2017 we delivered pens, pencils, notebooks and much more to 2,300+ students in five schools at Mae Ra Moe and to 1,300+ students in six area schools in Karen State in Burma. We hope to extend our reach to many more students in our next KARE Trip in 2018! 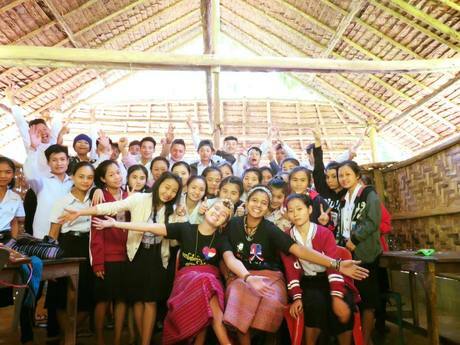 Project KARE is an all-volunteer, 501(c)(3) non-profit organization improving the lives of Karen refugees by providing school supplies and English language training in refugees camps in Thailand and in Karen State in Burma. Your gift makes the dream of education possible for thousands of Karen people! 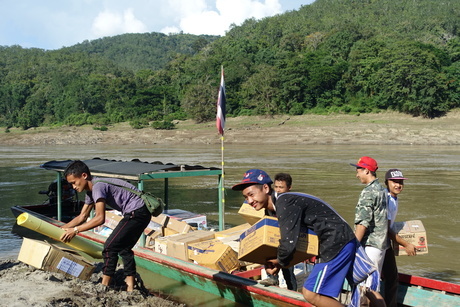 Project KARE will deliver essential school supplies to thousands of Karen students in Karen State in Burma (Myanmar) and at Mae Ra Moe Refugee Camp on the Thai/Burma border. In 2017 we delivered pens, pencils, notebooks and much more to 2,300+ students in five schools at Mae Ra Moe and to 1,300+ students in six area schools in Karen State in Burma. We hope to extend our reach to many more students in our next KARE Trip in 2018! 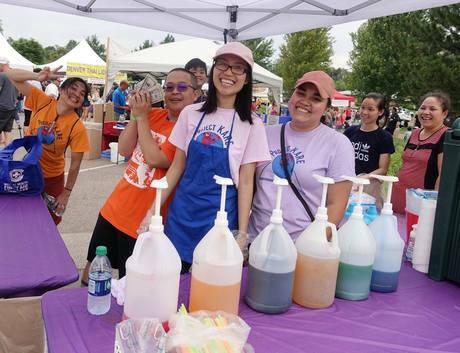 Project KARE is an all-volunteer, 501(c)(3) non-profit organization improving the lives of Karen refugees by providing school supplies and English language training in refugees camps in Thailand and in Karen State in Burma. Hi to our friends of Project KARE! As we begin the new year we're excited to share a quick update on our activities in Mae Ra Moe refugee camp. Many volunteers have been discovering us on social media and are now busy teaching English at the refugee camp. In January seven volunteers have come from around the globe to teach at Mae Ra Moe and in February five more will make the journey to northwest Thailand! Every volunteer emerges from Mae Ra Moe with a deep passion to help the Karen people and many are busy making plans for their return! Many of these wonderful volunteers have raised funds to bring school supplies to the high school where they will teach. It's really amazing to see the generosity of so many volunteers giving their time, and more, to help the Karen people. If you know an adventurous volunteer who would like to teach English at Mae Ra Moe refugee camp please have them review our Workaway profile - https://www.workaway.info/491385263563-en.html Ta blu pa doh! School pencils for 250 students! School pens for 420 students! School supplies for 30+ students! Giancarlos15 weeks ago Best wishes. Dennis & Rose Bretting15 weeks ago Best wishes. Manna Massa16 weeks ago Best wishes.